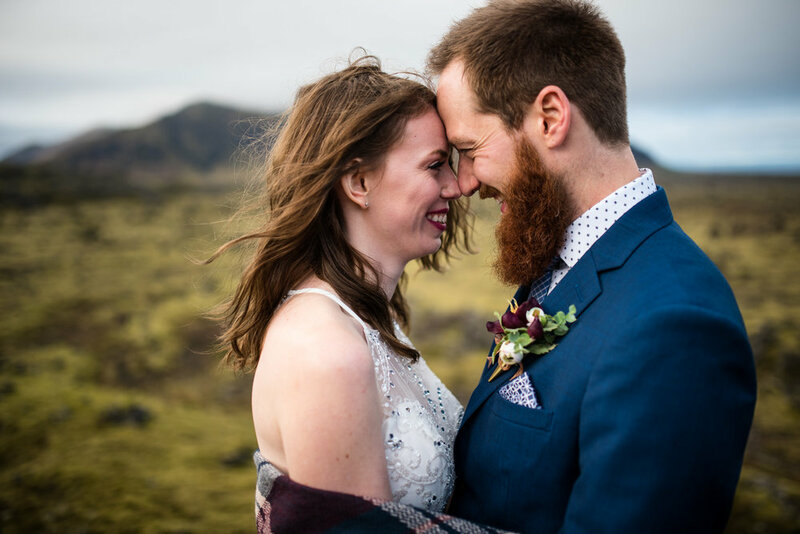 In our experience photographing three destination elopements in Iceland, on back to back days, we took away so many highlights to reminisce about. We loved getting to know our couples' different personalities, how they met, and what their lives were like back home, away from this dreamland. 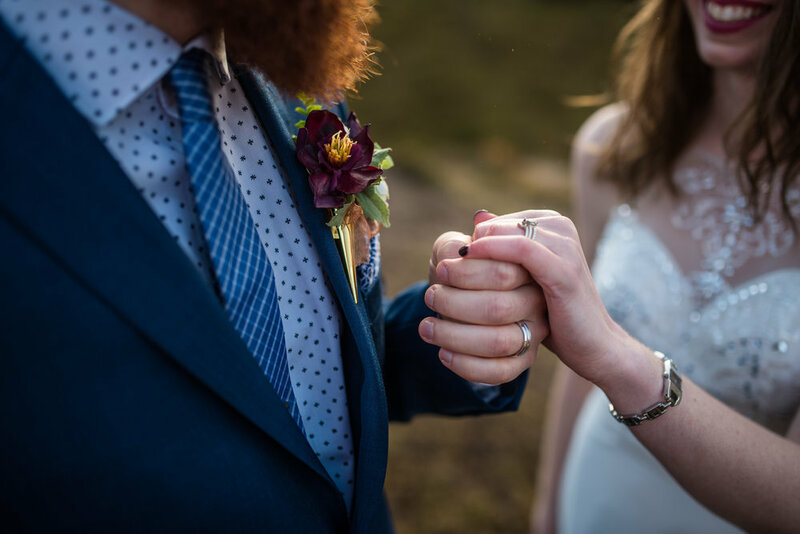 One thing we weren't (but should should have been) expecting was the way all three of our couples would plan and execute their elopement in their own special way. It only magnified the romance factor of an already romantic way to marry, and we felt it gave us an even more intimate look into the couple's relationship dynamic. 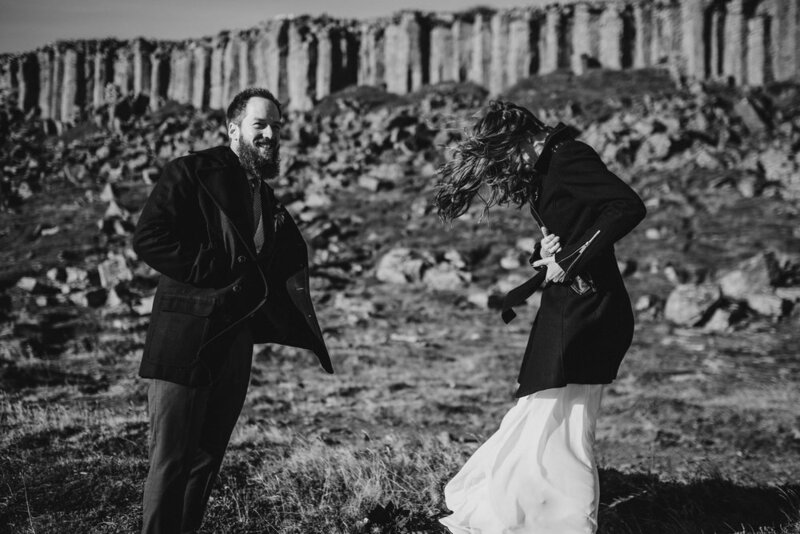 If you read Jessika and Mack's elopement blog from the day before, you know that they had legally married in their home state of Colorado a few days before they left for Iceland. 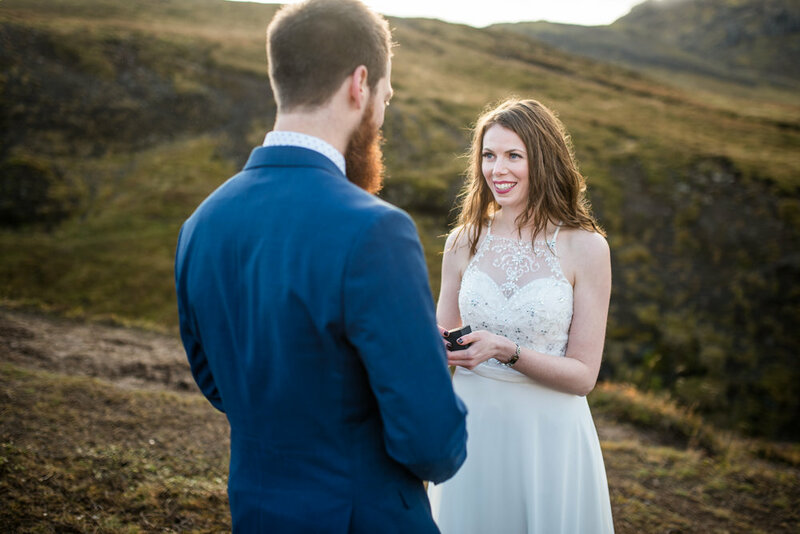 They had exchanged their wedding rings, but saved their vows for their big day Iceland. 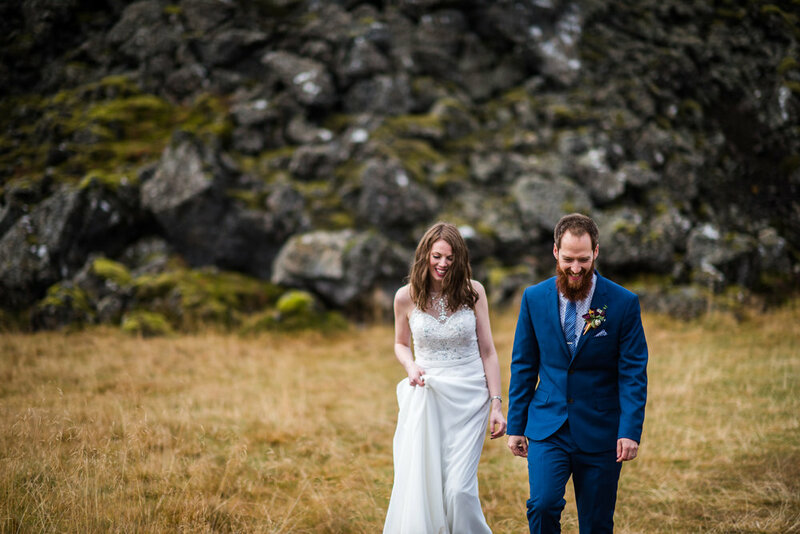 As well, Jessika's wedding dress made it all the way to Iceland without Mack seeing it, so they could get ready the traditional way; without the groom seeing the bride, even though they were going to be in the same apartment at the time! The following day we met with Meagann and Neil at their hotel to start the day at their Reykjavik hotel, where they'd get ready together to share the anticipation and excitement of the day. 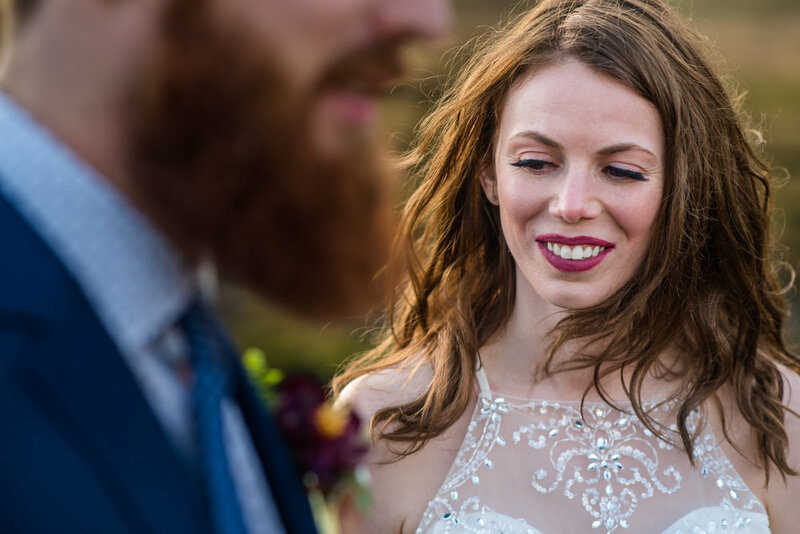 We found it so romantic that Neil would be the person to help Meagann into her wedding gown (insert 100 heart-eyes emojis), before they looked each other up and down with huge smiles, and headed out the door. Meagann and Neil also legally signed their marriage papers in their hometown in Ontario, where they had exchanged vows and wedding bands. The unique twist that we love, is that while the two had their wedding bands, Meagann had not yet seen the beautiful custom sapphire engagement ring that Neil had made just for her. What a treat for us to get to see her face as Neil opened the little wooden box for her during their ring exchange ceremony. 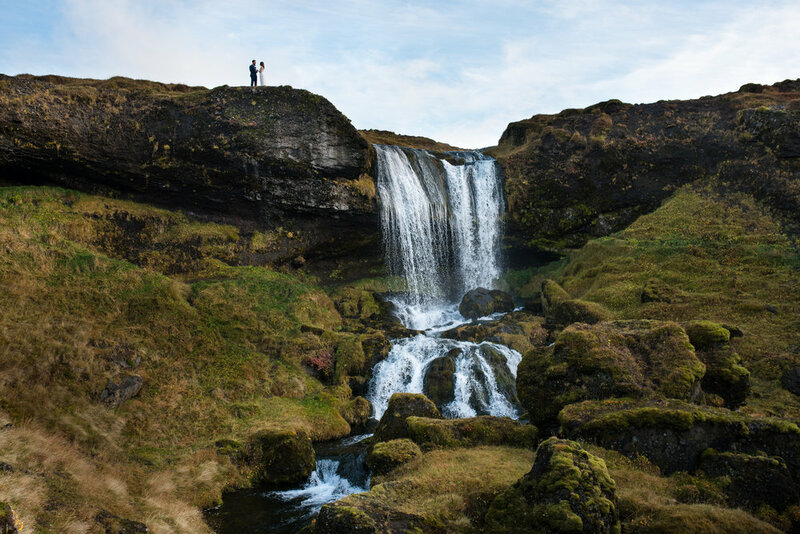 And what better place than an isolated area of the Snaefellsnes Peninsula; at the foot of a waterfall, and overlooking an endless field of bright green, moss-blanketed lava, veined by a river speckled with swans. 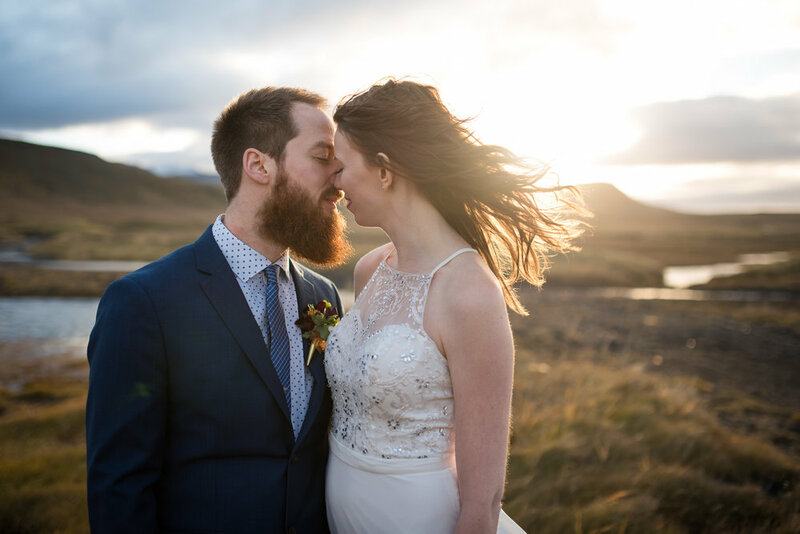 The warm light shining through overhead clouds, and the misty wind that danced through Meagann's hair and gown only added more drama to an already dreamlike day. 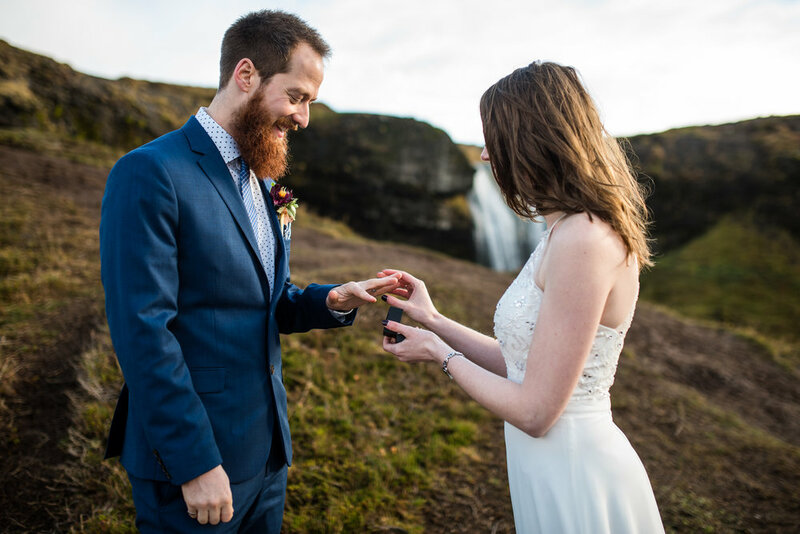 After their ring exchange, we explored more of the Snaefellsnes peninsula area, that Meagann and Neil had fallen in love with their first few days in Iceland. They showed us areas that we hadn't had the opportunity to explore on our first trip to the area, and it felt like casual day out adventuring with friends as Neil pointed out all the quaint homesteads he was for sure planning to retire to when it came time. We took in the impressive basalt column cliffs, took a drive through the incredible Berserkjahraun (mad-man's lava field), and they finished the day with some beachside cuddles at Djupalonssandur (the black lava pearl beach). Thank you Meagann and Neil for letting us be the ones to peer in and capture such an intimate and personal milestone in your life. We had so much fun driving around an area of Iceland that meant so much to you, and hope these photos hold a life time of treasure for you! check out more of our recent work below!